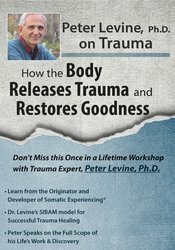 International trauma expert and author, Peter A. Levine, Ph.D. will teach you how sensation-based treatment (as opposed to emotional or rational-based treatment) can be effective for trauma treatment. He discusses the important principles in successful trauma treatment, and uses his own successful renegotiation of a personal traumatic event as an example. 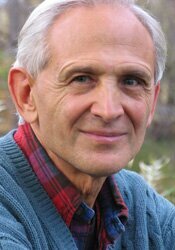 Representing the full scope of his life’s work, Dr. Levine discusses the evolutionary underpinnings of trauma. This recording includes an in-depth review of how trauma is related to the ethnological concept of tonic immobility, as well as the roadmap of the Polyvagal system – a fascinating neurophysiological model for understanding how we shift between the states of fight-or-flight, shutdown, and social engagement. Dr. Levine provides simple containment tools to help you develop your awareness of these state changes in order to more effectively engage your client in trauma therapy. Articulate the four major developmental stages that increase vulnerability to trauma and how to recognize them in your clients. Determine the naturalistic mechanics of trauma and survival responses of flight, fight, freeze and collapse as it relates to clinical treatment. Discover the evolutionary underpinnings of trauma and the Polyvagal theory and their clinical implications. Demonstrate the importance of “Bottom-Up” processing versus “Top-Down” processing to improve treatment outcomes. Analyze the effects of stress on somatic and emotional syndromes in clients. Incorporate Dr. Levine’s simple containment tools in order to more effectively engage your client in trauma therapy. PESI, Inc. is an AOTA Approved Provider of continuing education. Provider #: 3322. This self-study course qualifies for 5.0 self-study contact hours or .5 CEUs in the Category of Domain of OT and Occupational Therapy Process. The assignment of AOTA CEUs does not imply endorsement of specific course content, products, or clinical procedures by AOTA. Course Level: Intermediate. Expires: 5/1/2020. Florida Occupational Therapists & Occupational Therapy Assistant: PESI, Inc. is an approved provider with the Florida Board of Occupational Therapy. Provider Number 50-399. This self-study course qualifies for 5.0 continuing education credits.